Last year was the first year I ever did a toys gift guide. I’ve always been a little hesitant to do it because I myself am not a parent, so it’s hard for me to accurately comment on what the ‘hot’ toys are. Obviously I recognize that this year, boys and girls of ALL ages will be wishing for something like a new Xbox One or PS4 under the tree, but in the interest of you know, being interesting, you won’t see gift ideas of that type here. Instead, I’m pleased to share with you a round-up of gift ideas I feel are truly special for the little ones in your life, the type of thing that won’t be cast aside quite so quickly. I’ve outlined below why I’ve picked each of them, but the simplest explanation is: they’re cool. Oh, and the majority of them aren’t toys. At least not in the traditional sense…but they’re still super awesome. Enjoy! I chose this idea because I thought it was such a clever choice for the burgeoning Blair Waldorf fashionista in your life. This modular headband system allows you to mix and match different coloured and patterned fabric bands and embellishments for literally hundreds of different looks, all based upon a single, simple clear headband. Choose the headband cover you want, then simply add the finishing touch you’d like for a perfect piece of hair flair. It’s a wonderful way to seriously extend your little one’s accessorizing wardrobe: instead of splurging on dozens of hair goodies, you can scoop up a few bands and accents and suddenly you’ll have a look for her birthday party, school photos, holiday concert and beyond. I especially love the new holiday collection, which makes for a perfect stocking stuffer. Shipping is a flat rate when you type in the code FLATSHIP, so stock up and spoil the little princess in your life. Despite our frosty climate, Canadians seem to have an in-born desire to enjoy all matter of frosty beverages. The Zoku Slush & Shake Maker is here to make it a snap for your little miss or mister to concoct their own chilly slushies, milkshakes, malts, and other drinks. All you have to do is keep it stashed in the freezer, and when they want to use it, they simply add the ingredients of their choice, stir, and watch as what was once liquid quickly becomes frozen. I always love a gift idea that encourages kids to eat healthy (and explore their culinary skills) – this nifty gadget makes it fun to whip up fruity drinks to help balance out your child’s daily diet. A truly cool pick. 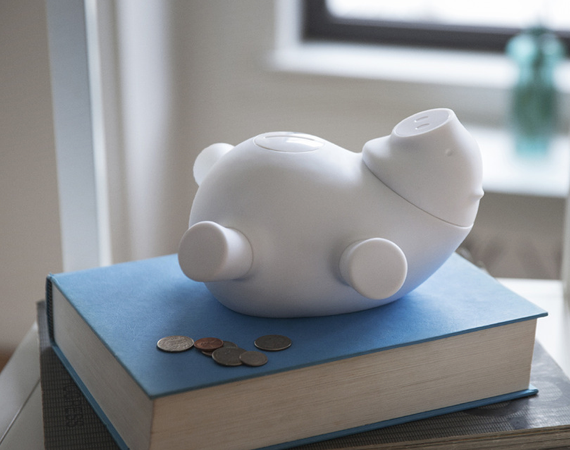 The piggy bank is a classic child’s gift – but this one is all geared up for serious saving power. The bank is actually linked up with an app on your phone that keeps tabs on when a coin is inserted (sadly it appears to be U.S. coins only, although it’s a good place to stash your spare change after a vacation down south), so you can watch your kid’s total add up (or get an alarm when they break open the bank for some sweets and treats). If your child is a little older and has a phone of their own, it’s a cool way to teach them the power of money management and saving, without getting them a bank account before they’re ready. Also cute? The pig’s nose lights up in celebration whenever you drop a coin in! Talk about a twist on an old fave. My one bow down to the dominance of video games is this interesting game innovation from Disney that launched this past summer. The gist of the game is it’s an expandable universe featuring all of your favourite Disney characters – primarily Pixar pals with a few surprises thrown in like Rapunzel and Johnny Depp’s Captain Jack Sparrow. When you ‘plug’ a character in, the game adapts and allows you to play as that character in a new ‘world’ they’ve brought along with them. The idea behind the game is to create a virtual toy box where you can mix and match characters, worlds, gadgets, buildings and more to create your own custom experience. The base game comes with three characters, but there are plenty of expansions for kids already in the know (or for you to have an easier time at upcoming gift-giving occasions). I like the fact it still encourages creativity and problem-solving in a fun, kid-friendly package. As adults, so many of us lament our inability to be multilingual, and many of us have struggled through language classes or programs like Rosetta Stone. The simple truth is, we live in a global economy, and knowing multiple languages is a sought after skill. Want to know a secret? Had our parents started us young – I mean really young – we’d probably all be fluent in more than basic English or French. Little Pim is a child-geared language skills program that teaches kids from 6 months to 6 years how to speak an additional language (in fact, during these developmental years, we have the ability to pick up 3 languages). The titular Little Pim is a panda bear tutor that will teach your child 360 basic words and phrases through a series of fun, interactive videos they can easily absorb. And with a child’s desire for repetition, they’ll want to engage again and again, helping to solidify their new skills. Afraid about your own language skills? They also provide a companion program for parents, even if they know nary a thing about the language their child is learning. Oh so smart! BONUS: GET 20% OFF YOUR LITTLE PIM PURCHASE ON THEIR WEBSITE BY ENTERING THE CODE LPHOLIDAY AT CHECKOUT! If you’re going to splurge on a piece of children’s clothing this holiday season, at least make it Canadiana cool. Drake General Store has teamed up with local artists to produce an exclusive line of snuggly Canuck-inspired clothing, including full onesies (with a bum flap), scarves, leggings, dresses and more. Most of the pieces are unisex and come packaged in a cute burlap bag, making it a ready-to-go gift for that last-minute visit to a friend’s place that has kids or to easily toss in your suitcase before flying to another province to visit your nieces and nephews. When I was a kid, my sister had a kit with something like 100 little experiments you could do using pretty basic household items – I thought it was the coolest thing (although I grew up to be anything but a science nerd). I like the idea of using your hands to learn something but also create something legitimately fun. The combination of active play and education is an appealing one for any parent (especially at this stocking stuffer-friendly price point). Whether making their own bouncy ball, oozy goo, or colour-changing foaming jelly, there’s plenty in each of these sets to keep their idle hands occupied – and their minds too. A friend of my specifically tells her friends & family not to buy them ‘toys’ over the holidays (or birthdays), the idea being her child already has plenty of them and limited storage space. Instead, she asks for things her family can actually use – like clothes or care products. If you’re shopping for a tiny tot and have a similar directive handed down to you, or you simply agree with the logic, this child-oriented bathtime fun set is a perfect choice. Featuring four ultra-gentle products to care for your baby’s sensitive skin, it also makes a pretty swell shower gift owing to the cute rubber duckie and ready-to-gift tote bag the products come housed in. Simply stamp a bow on it and go! I seriously nerded out when I came across this series of children’s book pictures inspired by some of the world’s most celebrated literature. Each book features twelve scenes rendered in beautifully detailed hand felted tableaus, accompanied by a word for the child to read. While it might seem a stretch for a kid to fully grasp the nuances of Elizabeth Bennett and Mark Darcy’s romance in just twelve words, that’s where this clever series really shines: by encouraging parents to take an active part in the ‘reading’ experience. Hopefully you’ll have read the book in question when sharing it with your favourite little one; use your memory to fill in the sizable gaps and simultaneously train your brain while entertaining your kid and teaching them to love classic literary fiction. I feel like I’m not going to do this insane gift idea justice, but I’ll try. When I was speaking with a member of the MaKey MaKey team, they noted that the gift was really applicable for creative minds of ALL ages, but ultimately, where it can start with kids, I thought I’d feature it here. The idea behind the kit is to allow you to connect real-world items with your electronic device to interact with apps in an exciting and fresh new way. The possibilities are relatively limitless for what you can do. All it really takes is finding a web page or app that requires the use of a keyboard, then rejigging what your computer THINKS is a keyboard, allowing you to do things like play a video game using Play-Doh or sending an email using Alphabet Soup. Sounds crazy? It sort of is. But as long as you’re using an item that conducts the littlest bit of electricity, it’s possible to loop it with your computer’s interface, providing a fun introduction to kids that may have an eventual interest in engineering or computers. Personally? I like it because it demystifies (a bit) the gloss of our technology-laden world, and teaches kids the core basics of how a computer is built, while encouraging them to use their brains before they go off and play endless hours of Bejeweled or Angry Birds or whatever the next new game is. Incidentally, this is also a fun pick for teens or adults that love to fiddle around with gizmos and gadgets, while channeling their inner Steve Wozniak. 1) Tell me in the comments below by December 8th which of these kid-friendly picks would most rule in your household (or someone else that you’d be buying for). 2) Entries are limited to one per person / per email address / per household (or more if you score bonus entries). A random draw will be conducted on or around December 9th to select the winners, who will have 48 hours to respond before another winner is chosen in their place. MaKey MaKey – Get your science brain on by linking up with the brand’s Facebook and Twitter pages. Leave a comment / tag them in a Tweet to score two bonus entries. Cozy Classics – These fun titles are published by Simply Read Books, who you can team up with on Facebook and Twitter. Leaving a comment / tagging them in a Tweet will earn you two more bonus entries. Mustela – Has a special Canadian Facebook Page that you should like and leave a comment on to earn yourself a bonus entry. Little Pim – Send your heartiest international greeting (or you know, leave a comment) after you’ve liked the Little Pim Facebook Page to earn a bonus entry. Porkfolio – Like the folks at Quirky on their Facebook page and tell them why you love the Porkfolio to earn yet another entry. Infinity Headbands – Earn up to 3 bonus entries when you repin ideas from Infinity Headbands’ Embellishment, Covers, and Complete Looks (aka ‘Infinity Headbands’) Pinterest boards – one pin from each of these boards will score you 3 entries. The mustella set would be our baby’s fave. She loves bath time! Great list,,, some nice ideas. I like the Infinity Headbands. hint hint santa. The Makey Makey set would be a must have in my house for my science & tech crazed kid. As i am a big mustela fan, the mustella set for my daughter would be my pic. I love the Little Pim sets. I think learning languages at a young age is the way to go and I’ve been trying to find a good way to introduce Spanish to my kids. 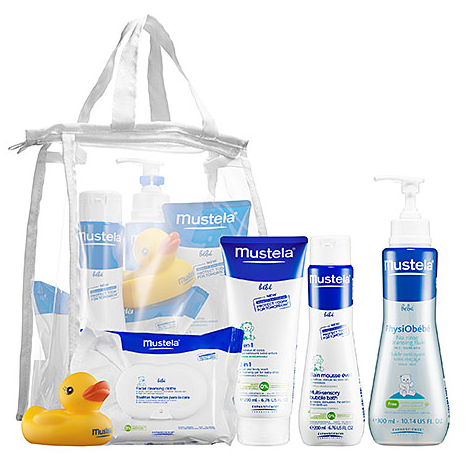 I also really like the Mustela set, I think this would be an amazing gift for a new family. i’d choose the Infinity Headbands – for my bunch of cutie pie granddaughters. The Zoku Slush & Shake Maker looks fun! Great List for Christas ! My son would rule the books! I would say the Mustela Bebe Bathtime Bubbles Set would be the household favourite! I think the MaKey Makey will be a huge hit with my grandchildren. They all are very active and love to explore new ideas and experiments. Each of them would love to try and make music out of lunch! Lol! Be very interesting to watch what their minds come up with. Definitely the Disney Infinity Starter Pack would be what I would buy for my great-nephew. I love the Zoku slush maker! the favs would be the ZOKU slush and shake maker for one and Makey Makey for the other. I love the Shared History Onesies & Tees – what better gift for you little Canuck than something that signifies their hertiage. 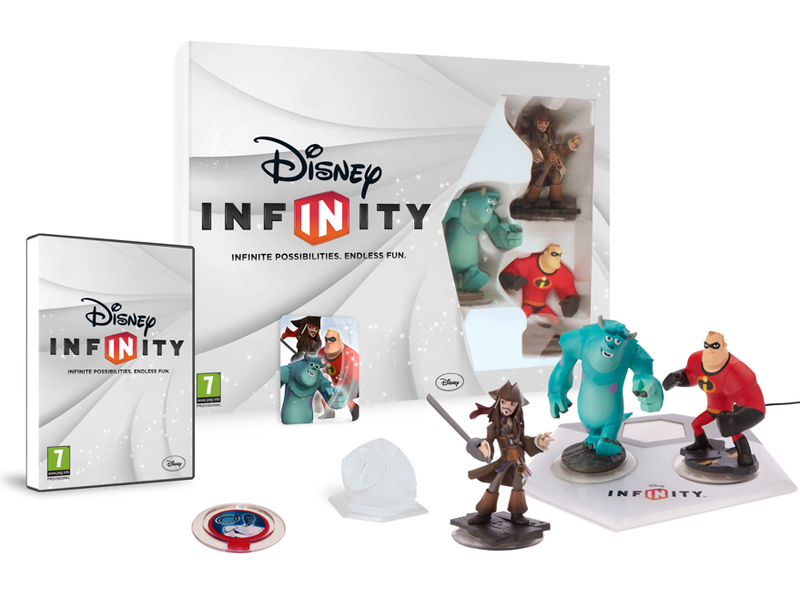 The Disney Infinity Starter Pack would totally rule in our household! My nephews would be all over the Disney Infinity pack. The Disney Infinity set would be great for my grandchildren! The Mustela Bebe Bathtime Bubbles Set would be perfect to gift within the family. Thank you. COPERNICUS TOYS would be a big hit at my house. cool ideas, lots of hints to chipping for kids. The Copernicus Toys Science Kits would rule in my house,,so cool! “Porkfolio” would definitely rule in my house! That is super cool! 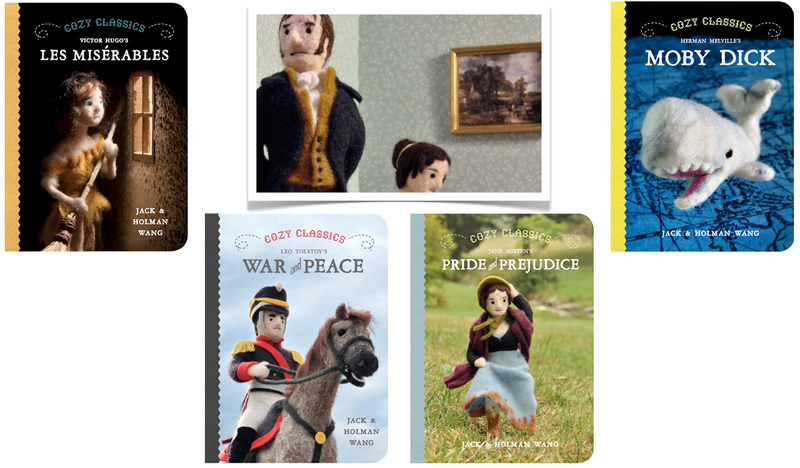 @simplyreadbooks Just found out about Cozy Classics and can't wait to get some! Cheers. 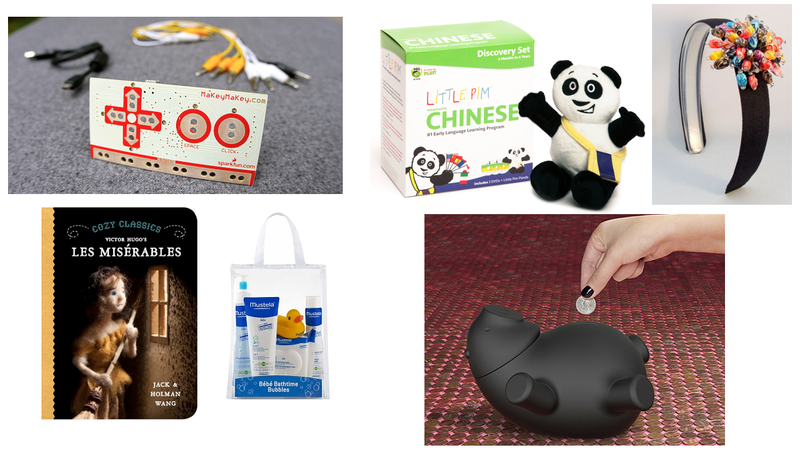 @TheJoyLabz Just saw MaKey MaKeY featured on @CdnGiftGuide – neat gift for my boy. Cheers. 4 Cozy Classics titles, so sweet! 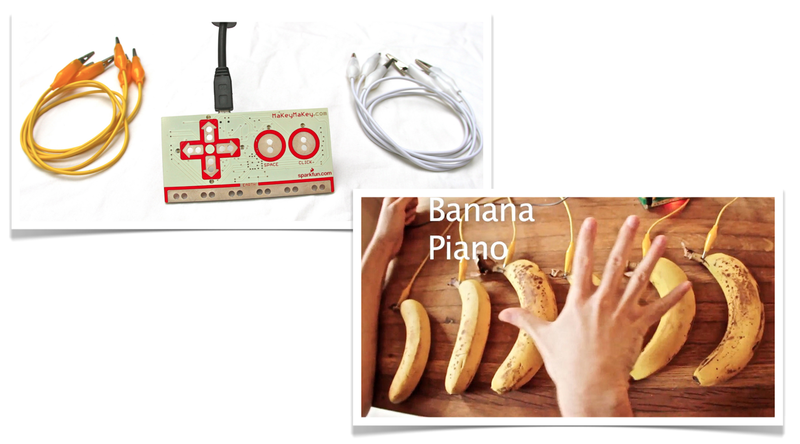 I have a hard time deciding–the MaKey MaKey is the coolest, I think. I would like the Little Pim Language Learning Kit to teach my daughters French. For sure the Mackey Mackey would rule! I think the Porkfolio would definitely be a hit since both my kids love collecting spare change around the house for their piggy banks but I know the disney infinity would be a huge hit with my son as well, it is awfully neat! Cozy Classics looks pretty good. The Porkfolio would be adored by my daughter, but what I’d love best would be my Dh’s reaction to it. He loves interesting things. The Porkfolio s a really neat idea! The Zoku Slush & Shake Maker would be a definite hit with my grandkids. I think the Glowing Putty Gels and Slime kit would go over well with my 2 year old niece. Copernicus Toys Science Kits – $14.99 each @ Hudson’s Bay would make a nice gift to a needy child. 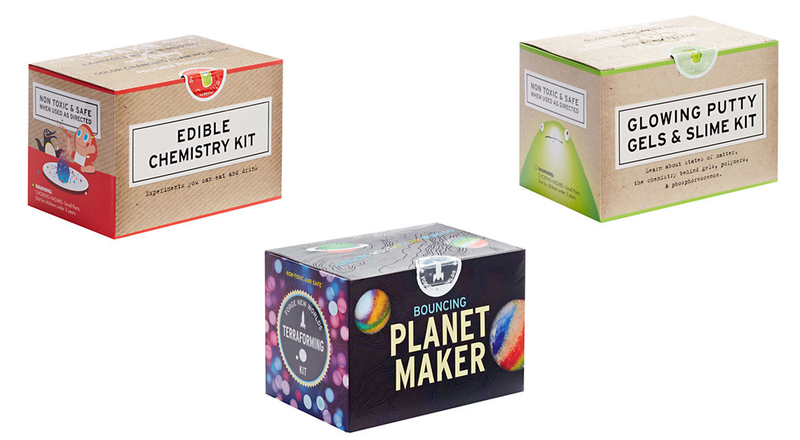 The edible chemistry kit and all of the cozy classics would be our faves! The Copernicus Toys Science Kits would most rule!! love the Porkfolio, hopefully they’ll make one soon that counts Canadian coins. The Copernicus Toys Science Kits – $14.99 each @ Hudson’s Bay would most rule in my house. infinity headbands turn my crank! I love the The mustella set. My daughter is all about “money” right now, but really, she just loves putting coins in her bank, so the Porkfolio bank would be very well received in our house! The MaKey MaKey set would get the most use here – I think we’d all like to try it. My nieces would go crazy for the Makey Makey set! 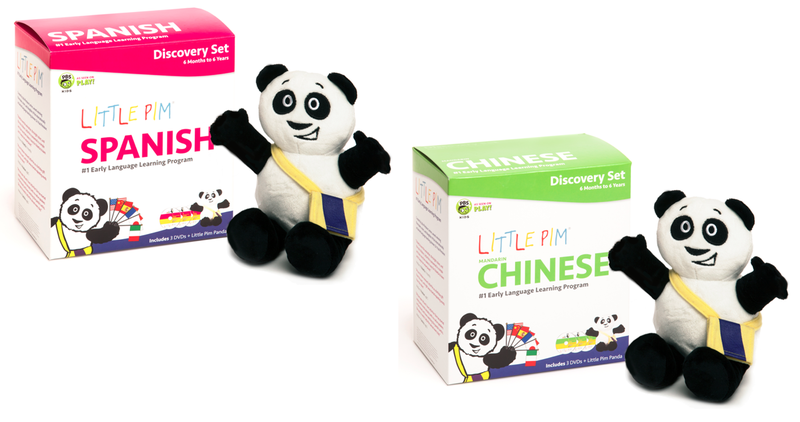 Little Pam Language Learning Program Kits! The cozy classics – my daughter loves books! I love the cozy classics… especially les mis!! Books are great at any age – 4 Cozy Classics titles! My neice would absolutely love the infinity headbands! 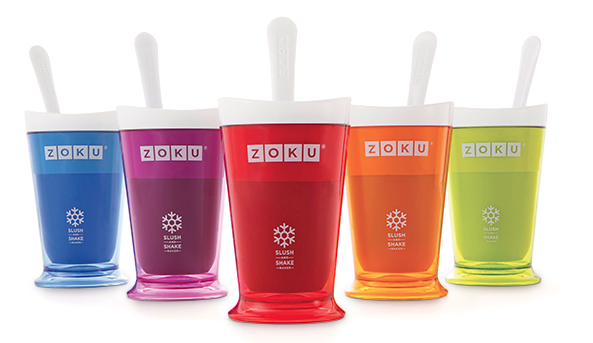 We so need a couple of the Zoku Slush & Shake Makers! So fun! the science kits would be great! The Copernicus Toys Science Kits! The Copernicus Toys Science Kits! I’m going to go buy one this weekend. What a great xmas gift! oooh the Zoku slush and shake maker! I love them all!! I’m thinking that my nephew would really love Porkfolio…it is soooo cute! The felt books are perfection!!! I would love to get the Mustela Bebe Bathtime Bubbles Set. the Disney Infinity pack sounds awesome, can’t believe we actually have not heard of this game yet. The Mustela Bebe Bathtime Bubbles Set would be a hit in our home. My daughter would love the Zoku Slush & Shake Maker. I think the MaKey MaKey is the coolest thing I’ve seen in a while. Very very cool. Love the cozy classic collection! Little Pim sounds great too. I would love the MaKey MaKey set!! Inspires creativity in everyone!